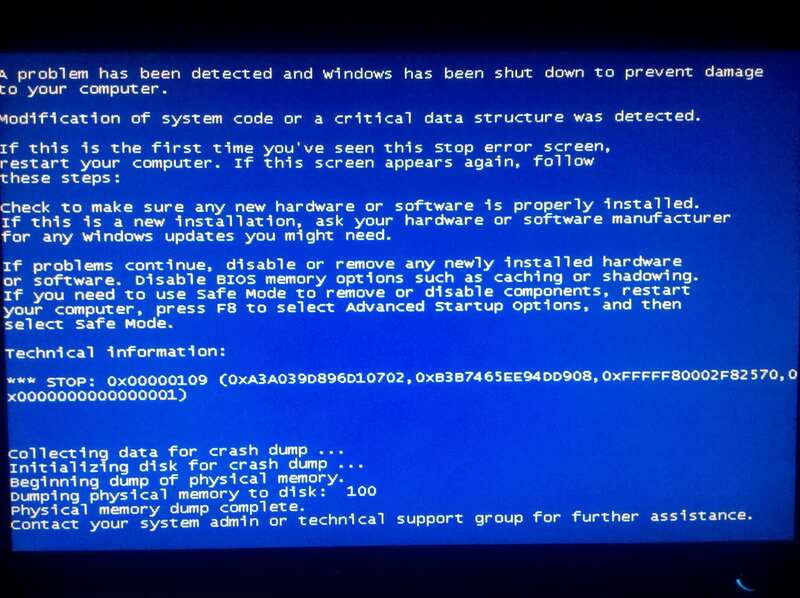 The CRITICAL_STRUCTURE_CORRUPTION BSOD (Blue Screen of Death) error may appear during the initialization process for Windows Vista and XP, Windows 2008, and Windows 7 and 8. This error usually appears when the operating system detects the corruption of a critical kernel code or data structure. This error results to the abrupt shutdown of the computer to prevent damage and avoid possible loss of data from unsaved work. This error arises when a faulty driver deliberately or inadvertently modifies a kernel code or data, which is not allowed by the operating system. Other factors that cause this error include failure in the system memory and hardware corruption. You can resolve the CRITICAL_STRUCTURE_CORRUPTION BSOD error by rebooting and checking the Microsoft Hardware Compatibility List to verify that recently installed drivers and hardware are compatible with the version of the operating system that you are using. You can also check the system memory with the Memory Diagnostics Tool to verify defects in the RAM (Random Access Memory), and replace defective memory modules.